Ding dong, the witch is back. Fresh, darker versions of old fairytales and childhood classics are common nowadays. People want to read something familiar and nostalgic while still getting something more adult or thrilling than what they remember. 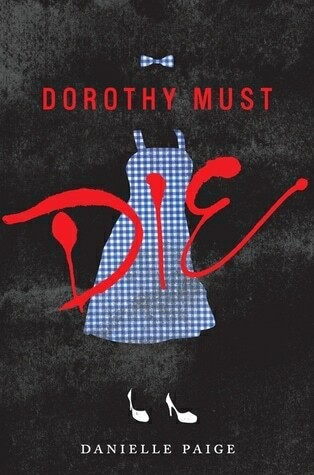 One of the more original and fantastical re-imaginings to arrive in recent years is the young adult novel Dorothy Must Die. With its striking title and stark combination of dark fantasy and bleak reality, Danielle Paige’s bestselling book is worthy of all the praise it’s received. The novel, the first in a series, follows a girl from the boring world of Kansas who is transported to the magical world of Oz. No, it’s not Dorothy. This time, her name is Amy Gumm, a girl from a troubled background with a tough attitude. But Dorothy is there in Oz, too – as its vicious dictator. Yep, Dorothy’s gone bad and she’s more cruel and twisted than any Wicked Witch ever was. It’s now up to a reluctant Amy to overthrow the evil ruler or she’ll never get back to Kansas. Click your heels and steady your heart as we raid this young adult fantasy for some fashion inspiration! 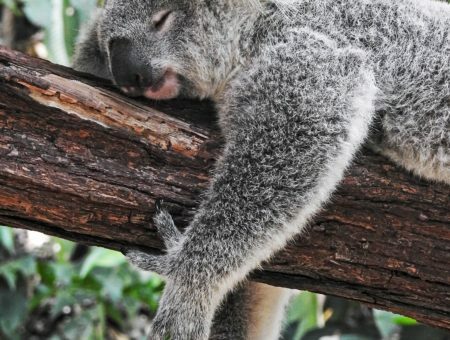 At the start of the novel, it’s hard to imagine Amy’s life being any worse. Living with her addict mother in poverty and mercilessly bullied at school, Amy copes with her situation the best she can, with sarcasm and wit. But after being dropped into Oz and witnessing Dorothy’s cruelty firsthand, Amy faces a whole new set of problems. Some people aren’t thrilled at Amy’s arrival, since the last person that came to Oz from Kansas went full-on tyrant, but others see the value in Amy as an ally and as a person. For a look based on Amy Gumm, wear a plaid shirt and some ripped black jeans. Amy has dyed her hair pink, but if you don’t have pink hair, just slip on pink Toms for comfort. Finish the look with some silver rings. Dorothy has grown up a lot since we last saw her in Oz… but not in a good way. While her demeanor remains cheerful and girlish, her smile is filled with venom. And her style has taken on more of an adult theme with shorter skirts and sky-high red heels. This former Kansas farm girl is now power-hungry and sadistic in her quest for control. For a look that says “queen” but not “maniac”, zip up a gingham dress that alludes to Dorothy’s past, but isn’t as revealing as the one she prefers in the novel. Dorothy swapped her Mary-Janes for pumps, so channel her and match them with crimson lipstick. Crown yourself with a sequined handbag and iridescent earrings. Amy Gumm is recruited by a secretive organization working to take down Dorothy’s regime. The organization is run by Gert, a grandmotherly figure to Amy; Glamora, Glinda’s identical twin sister with a vendetta and a facial scar; and Nox, a good-looking and mysterious warlock. These very different people have banded together in pursuit of social change, a noble and dangerous effort on their part. Get inspired by them by mixing their styles. Nox is a bad boy, so wear spiky heels and a faux leather jacket. Glamora is polished and well-mannered, so a lacy crop top and full skirt add her flair to the mix. Finally rock some glittery earrings to reflect Gert’s sparkling heart. The Wicked Witch of the West’s army of flying monkeys hasn’t fared well since Dorothy took over. There are few choices for flying monkeys, either acting as Dorothy’s slaves, having their wings clipped, or suffering painful deaths. Skipping the death and destruction, keep hope alive by getting fashion inspiration from the monkeys. The kimono is the centerpiece of the outfit, representing what is most important to the monkeys: their wings. Keep the rest casual for a summer day out with a black tank, jean shorts, and white slip-on shoes. Some argue that classics shouldn’t be touched, but when they are re-imagined in such an original and darkly thrilling way, I think there can be some merit to later adaptations. Certainly that is the case with the fun and fantastical story. So what did you think? Would you like to see the sequel done as fashion inspiration? Which outfit was your favorite? What book would you like to see next? Tell us in the comment section below!